The ‘Liam Loves’ safety awareness campaign is about encouraging children and their families to stay safe when using lifts and escalators, focusing on Liam, a young boy who loves exploring with his toys Stripey the tiger and Roary the dinosaur. One of LEIA’s key objectives is to provide advice on health, safety and standards and the ‘Liam Loves’ children’s safety campaign highlights their commitment to this cause. 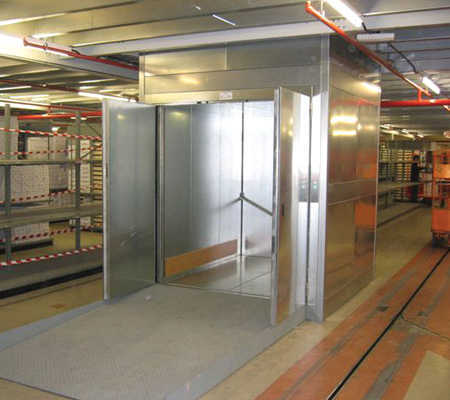 Pickerings Lifts has promoted the campaign across the country from their Head Office in Stockton-On-Tees, visiting schools and community groups to hand out free copies of the book and encouraging youngsters to stay safe on escalators. 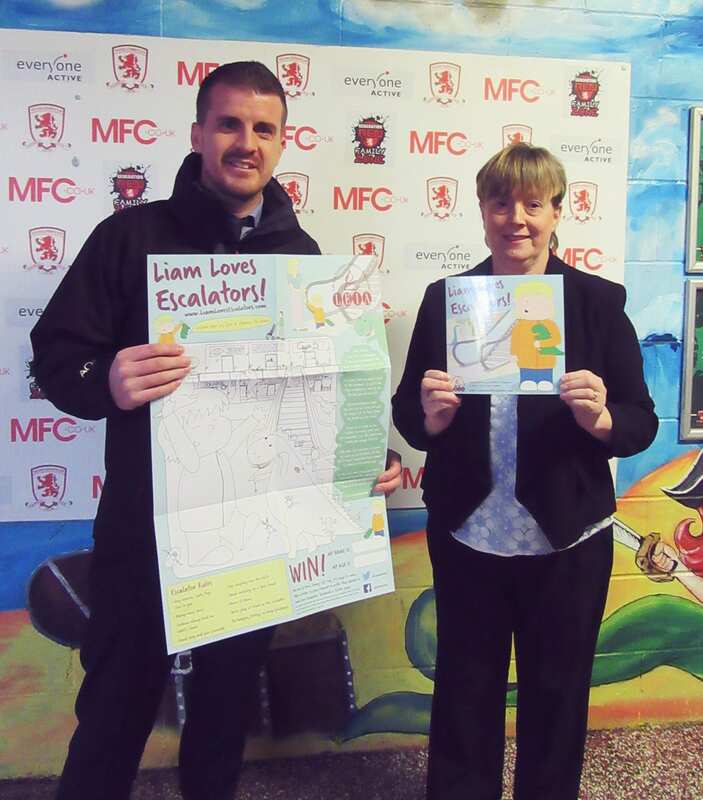 Our escalators team teamed up with Yvonne Ferguson, Head of Supporter Services at Middlesbrough Football Club to donate 200 Liam Loves Escalators! Books. The books will be given out to young fans during the season within the family zone and sensory room. 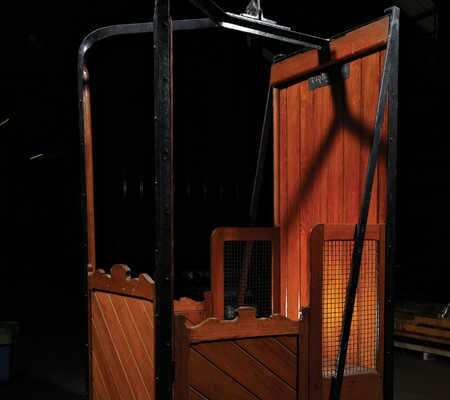 Pickerings Lifts has additionally linked up with Bowburn Primary School in Durham, Billingham Synthonia Cubs & Beavers, OASIS Disability Care Group and The Rainbows & Brownies Group at Norton Methodist Church to help promote escalator safety within the local community with more visits scheduled. 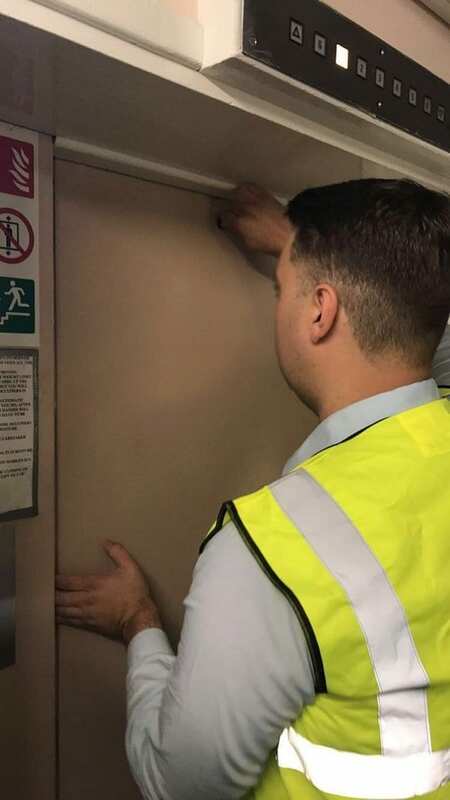 Shaun Lister, Escalator Customer Support Manager at Pickerings Lifts said “This campaign is so important to help protect and educate our children against serious injury. Lawrence Dooley, LEIA Safety & Training Manager said “We are absolutely delighted at the positive response we’ve received to the ‘Liam Loves Escalators’ children’s safety campaign. 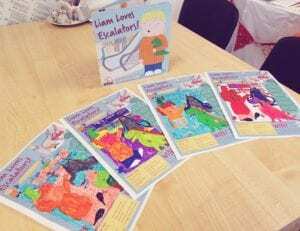 “The level of interest in ‘Liam Loves Escalators’ since the campaign launch in September has far exceeded our expectations and the fantastic feedback we’ve received from parents about how useful they are finding the books and colouring posters as an educational tool has undoubtedly made the campaign worthwhile. The campaign has been given an extra boost thanks to the overwhelming support LEIA have received from our members, which we are extremely grateful for. Update: Well done to LEIA for winning an award for this campaign!